Two Sheffield brothers are due in court next week over a horror crash which left four dead. Elliott and Declan Bower, of Harborough Avenue, Manor, have both been charged over a collision on Main Road, Darnall, which killed a father and his young son and a husband and wife. The Bower brothers were allegedly in a Volkswagen Golf which crashed into a VW Touran, which was carrying seven people. 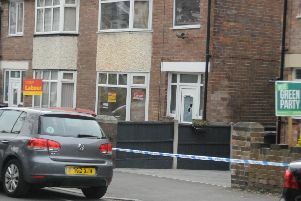 The Golf was involved in a police pursuit at the time of the smash, which happened close to the junction with Bannham Road on Friday, November 9. Touran driver Adnan Ashraf, 35, died in the crash alongside his 16-month-old son Mohammed Osman Mustafa Bin Adnan. Husband and wife Miroslav Duna, 50 and Vlasta Dunova, 41, also died. The family friends had been travelling back from a day trip in London when tragedy struck. Adnan’s wife and Mohammed’s mum, Erika Kroscenova, 32, was seriously injured in the collision along with Miroslav and Vlasta’s 22-year-old daughter, Nikola Dunova and her three-year-old daughter Livia Matova. Elliott Bower has been charged with four counts of causing death by dangerous driving and three counts of causing serious injury by dangerous driving. He is also charged with handling stolen goods and possession of cannabis. Declan Bower, 23, has been charged with aggravated vehicle taking and death caused by an accident with aggravated factors. He is also charged with handling stolen goods, two counts of driving while disqualified, two counts of driving without insurance, possession of a bladed article and possession of cannabis. A 17-year-old boy, who cannot be named for legal reasons, is accused of aggravated vehicle taking, death caused by an accident with aggravating factors and possessing cannabis. They are due at Sheffield Crown Court on Monday, December 10. Because of the police pursuit before the crash, the Independent Office for Police Conduct is investigating the incident.